The LCN-DIH by ISSENDORFF KG as a DALI solution for lighting operates a complete DALI line with up to 64 luminaires from the Local Control Network (LCN). It assigns and manages DALI short addresses and provides power supply for the DALI interfaces in the luminaires. 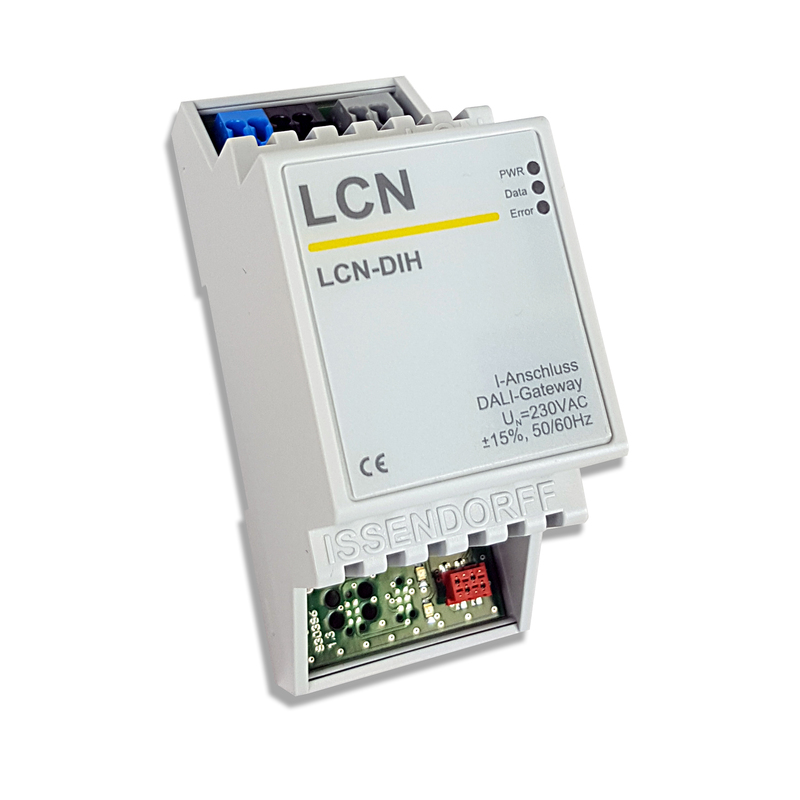 The LCN-DIH is mounted on a top hat rail and combined via the I-Port with LCN modules such as the LCH-SHS. It not only supports the control of standard DALI luminaires, but also Tunable White or RGB-compatible luminaires in accordance with the DALI standard IEC 62386-209 (DALI Type 8). The LCN module transmits the brightness values of its four electronic outputs and the status of the 8 relays directly to DALI groups. The LCN-DIH controls a total of 12 DALI groups with all LCN functions, such as 100 scene memories, ramp functions and complex logical and arithmetic links. Direct control with DALI commands addresses all 64 individual addresses and 16 DALI groups.